Thunderstorms this evening followed by occasional showers overnight. Gusty winds and small hail are possible. Low around 45F. SSW winds shifting to NNW at 10 to 15 mph. Chance of rain 90%. 1 to 2 inches of rain expected..
Thunderstorms this evening followed by occasional showers overnight. Gusty winds and small hail are possible. Low around 45F. SSW winds shifting to NNW at 10 to 15 mph. Chance of rain 90%. 1 to 2 inches of rain expected. VERONA / MADISON—Amy J. Disch, age 48, of Verona, passed away unexpectedly on Thursday, Feb. 7, 2019. She was born on July 9, 1970, in Madison, the daughter of Gerald and Barbara (Engen) Disch. Amy graduated from the UW-Madison with a bachelor’s degree in Communication Arts in 1992. 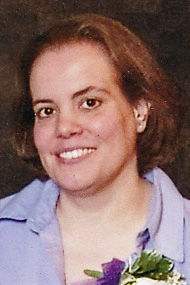 She would later return to the UW, earning her Master’s in Library and Information Sciences in 2004. Amy loved to say she was a librarian and could find out the answers to everything and anything; and she usually could. Amy worked at Madison Newspapers early in her career and then took a position as the director of research at the Columbus Dispatch in Columbus, Ohio. In 2012, she was offered the chance to return to her beloved hometown of Madison working for the UW-Foundation as a database researcher. She would later take a similar role at the Meriter Foundation. Amy loved animals, reading and was a huge fan of the UW Badgers, the Brewers and the Green Bay Packers. She enjoyed spending many a Sunday afternoon with Dad watching the Packers games. Amy was fiercely loyal and devoted to her family. Like her dad, Amy always had a take charge kind of attitude and knew how to get things done. She did so much for both of her parents and was always there when needed. We will miss her tremendously. Amy is survived by her mother, Barbara Disch of Monona; sister, Kim (Tim) Brown; brother, Jason (Kristen) Disch; nephew, Jared Brown; nieces, Allison and Brianna Disch; and uncles and aunts, Edward (Bonny) Engen and Pam (Phil) Cox. She was preceded in death by her father, Gerald; both her maternal and paternal grandparents; a special aunt and uncle, Elaine and Ole Olson; and her beloved dogs, Chico and Chester. Sister to sister we will always be, a couple of nuts off the family tree. Rest in peace Amy. A private graveside service will be held. Any memorials can be made in Amy’s name to the Dane County Humane Society or the American Diabetes Foundation. Online condolences may be made at www.gundersonfh.com. the life of: Disch, Amy J.